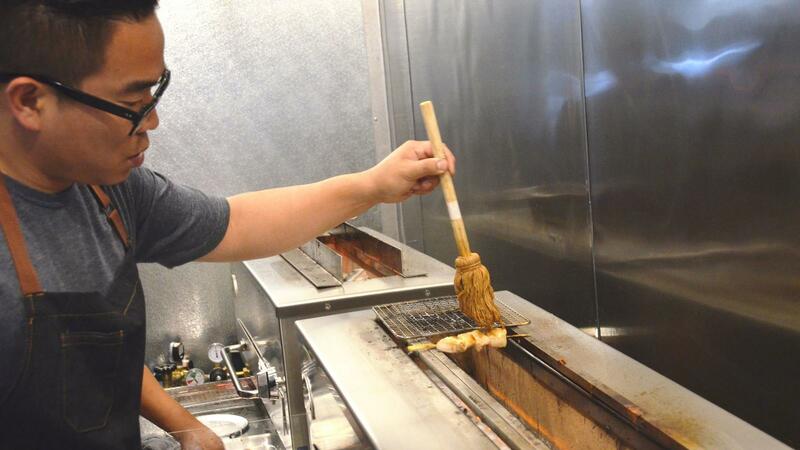 The tradition of yakitori involves skewering meat with a kushi, a type of skewer typically made of steel or bamboo and grilling it over a charcoal fire and seasoning it with tare sauce or salt. 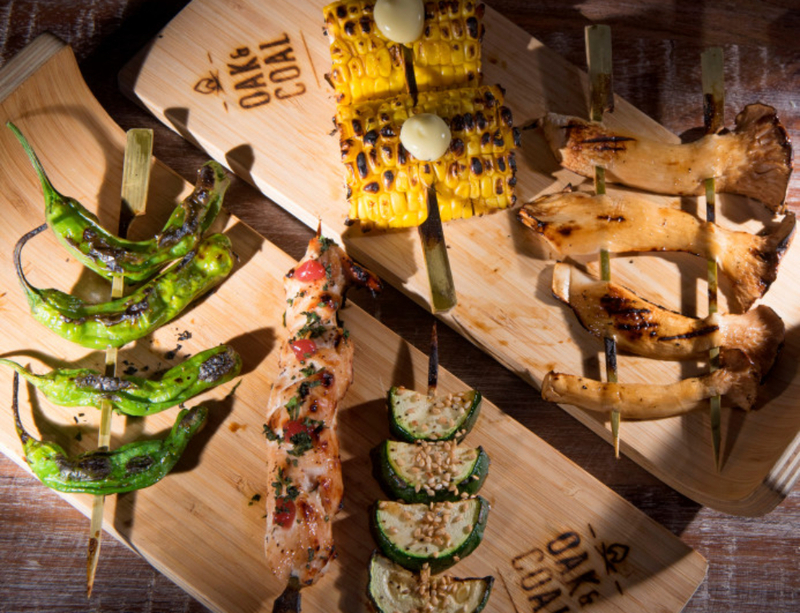 Oak & Coal has mastered this technique, and brings their own edgy dishes to spice up the menu. It’s a millennial paradise with an inviting ambiance allowing them to share food and socialize in a fun and modern setting. 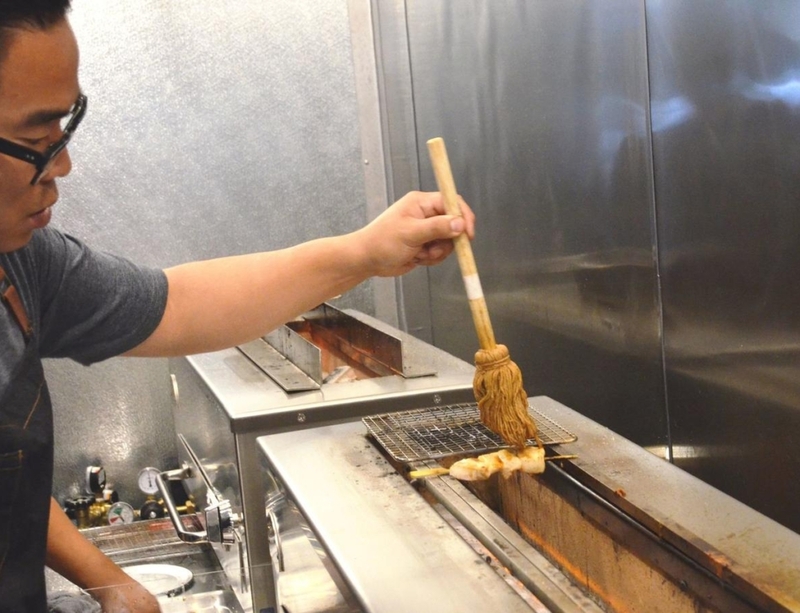 It’s also the first restaurant in Costa Mesa to dedicate the majority of their menu to just skewers along with dumplings, noodles, salads and rice. On their menu, you can see exactly where the proteins come from; chicken is from Mary’s Farm in San Joaquin, pork and beef are from Snake River Farms in Boise, ID and the fish is wild caught. Besides the protein options, they also have veggies that can be added to the dishes that include organic zucchini, shishito peppers, king trumpet mushrooms, Tokyo scallions, corn, onion and garlic, making them a bit more customizable for your taste. Among the most popular items are the Housemade Kimchi Dumplings, Korubata Sausages, Prime Rib Eye skewers, Hot Soba Noodles made with chicken, spinach, green onion, egg and dashi stock and the Cold Soba Salad made with sweet onion, daikon radish, tomato and dashi stock. These tapa-like portions make it easy to get a taste of several different options and are great for sharing with groups. 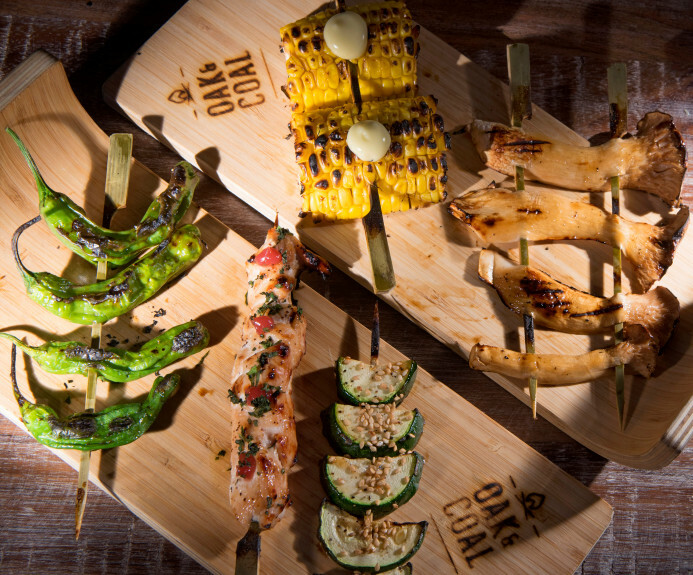 Put a Smile On: Oak & Coal offers a popular happy hour Monday through Thursday from 5-7 p.m. that includes 20 percent off all menu items and $5 draft beers and sake. Restaurant King: Jeff Chon, the owner of Oak & Coal, grew up in Costa Mesa and also owns The Alley, The Wayfarer and Tabu Shabu. © Oak & Coal | Web Design by Allison Walton Marketing & Design, LLC.